True orthodontic emergencies are very rare, but when they do occur, we are available to you. As a general rule, you should call the office when you experience severe pain or when you have a painful appliance problem that you can't take care of yourself. We'll be able to schedule a special appointment to resolve the problem. You might be surprised to learn that you may be able to temporarily solve many problems yourself until you schedule an appointment with our office. When working with your appliances, you need to know the names of the parts of your appliances so that you can identify what part is broken or out of place. 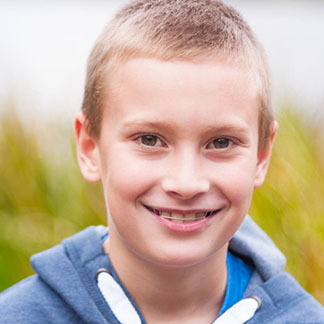 Please see our Orthodontic Dictionary if you have any questions about your braces. After alleviating your discomfort, it is very important that you still call our office as soon as possible to schedule a time to repair the problem. Allowing your appliance to remain damaged for an extended period of time may result in disruptions in your treatment plan. If you have a poking wire, try using a pencil eraser to push the poking wire down away from your cheek or lip. You can also place a small ball of wax to temporarily cushion the area. If a brace comes loose from a tooth, it usually remains connected to the main wire and is not cause for an emergency visit. Tweezers can be used to reposition the brace if it flips around the wire and becomes a source of irritation. Call our office at your earliest convenience. It may be necessary to schedule a separate visit to repair the loose brace(s) since repairs of this nature usually take additional time. If the main wire has come out of the brace or tube on a back molar tooth, attempt to reinsert the wire with a pair of needle nosed pliers or tweezers. If the wire is not sticking, place a piece of wax over the area. If the wire is sticking and wax does not help, the wire can be cut with a small wire cutter or nail clipper close to the back of the last brace. This is a last resort if professional help is unavailable. If an elastic ligature tie has come off from around one of your brackets, this is not an emergency. Please call our office to schedule an appointment for us to replace the tie. If your headgear makes your teeth sore, the discomfort may be caused by not wearing the headgear as instructed. Please refer to the instructions provided by our office with regards to how often you should be wearing your headgear. Surprisingly, the headgear may hurt less if it's worn more, so be sure you're getting in the prescribed hours. If the facebow is bent and does not fit into your back molar tubes, please call our office for assistance. If your molar band that your headgear attaches to is loose, discontinue wearing the headgear until we can reattach your band. Please bring your headgear with you to this repair appointment. If your teeth become sore after a visit, we generally recommend that you take an analgesic such as acetaminophen (e.g., Tylenol) or ibuprofen (e.g., Advil, Motrin). This, of course, is the protocol only if there are no known allergies to these medications. Rinsing with Peroxyl or a cup of warm water and teaspoon of salt can also be soothing. Chewing sugarless gum for 10 to 15 minutes following an adjustment can often reduce the soreness that may develop. If your lips, cheeks and tongue have become irritated, this is normal for one to two weeks as they toughen and become accustomed to the surface of the braces. You can place a small ball of wax on the braces to smooth the area. If a small sore has developed on the inside of your cheek or lip, use Orabase or a similar non-prescription topical anesthetic that is available at your local drug store. If a part of your braces or your retainer breaks, save the piece and call to set up a repair visit. If your appliance is not repairable, it may be necessary to fabricate a replacement. If you experience any bleeding when brushing or flossing, that usually means there is a local area of irritation, possibly from retained plaque or food. Continue to keep the area clean by brushing, flossing and rinsing with Listerine. If a particular area is painful or you notice a bump of any sort, please give our office a call so that we can help you solve this problem. If food becomes stuck between your teeth, use dental floss or a proxy brush to dislodge the food. Please be careful not to damage your braces or wire!